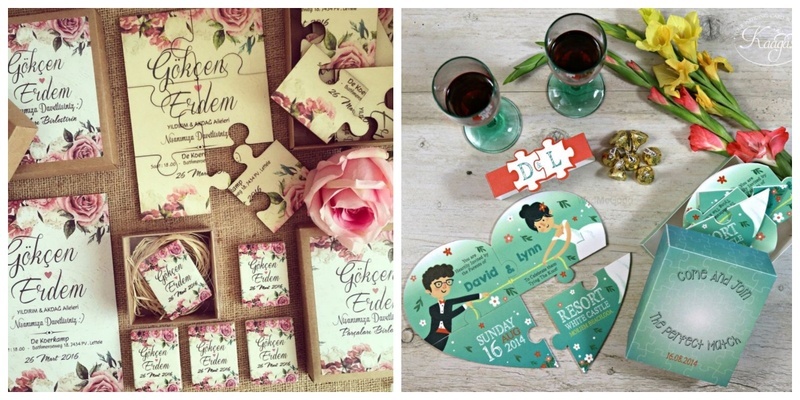 10 super-cool jigsaw puzzle wedding invites to give your guests a cute little surprise! Wedding invites, let’s be honest, often end up lost inside a cupboard or simply discarded! Wedding invites are often treated as the “first impression” of your wedding! We stumbled across couples who gave away puzzles as their invites! Yes people that’s right! Creativity knows no boundations and here’s why our innovative couples are sending out an extremely fun way of inviting their folks! This cool trend which is quite popular overseas catches the attention in a mere look. Scroll further to see the amazing puzzle invites and you would definitely would want to add this fun element to your pretty wedding. 1. A gorgeous floral print puzzle wedding invite! 2. The memorandum to save the special date! 3. Simple yet effective wooden puzzle invite cards! 4. An invite which is much more than just an invitation! 5. Wedding jigsaw puzzles that come in a cute potli! 10. Puzzles to ask your BFF to be your Maid of Honor! So ladies, it’s time to ditch the traditional methods and give a little element of fun when inviting your folks!